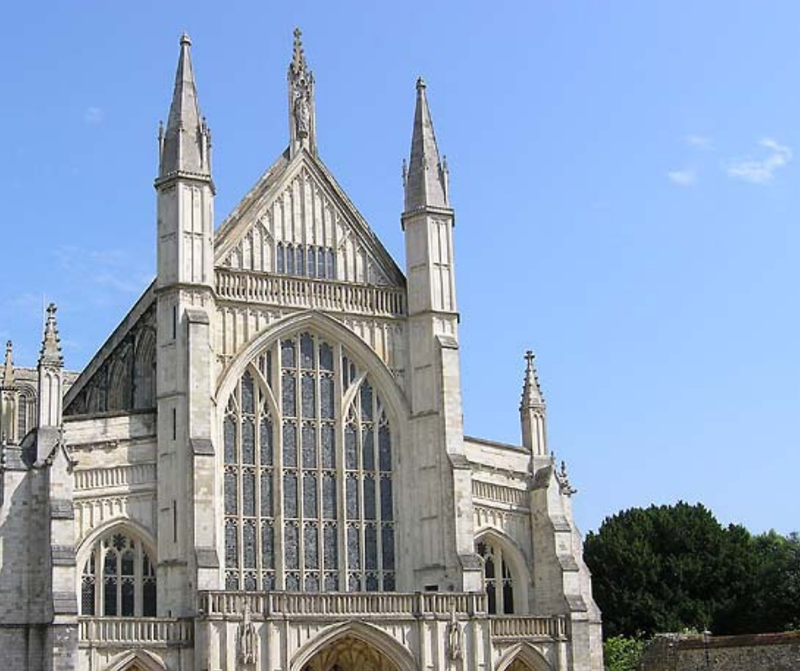 Winchester is best known for it’s historic - and rather grand - Cathedral, home of the annual Christmas Market, and landmark drawing in tourists at all times of the year to soak in the history. The cathedral grounds is also one of my favourite places to work remotely during the summer months - you can read more about that here. It’s fair to say that CoffeeLab is our home from home! If you’re looking for somewhere to grab a hot drink, believe us when we say that CoffeeLab is the place to be. With 6 UK Latte Art Champions and the 4th in the World Latte Art Champion, you’re guaranteed to have an amazing experience. Yes, it’s an experience, not just a quick cup of coffee. There is so much love and passion is put into what they do! And you have two locations to choose from in Winchester, yes, TWO! CoffeeLab +Academy is the place for you if you want to chat with friends over coffee, or perhaps spend an hour or so remote working; whereas The Square by CoffeeLab is the place to go if you’re looking for a chilled out evening with more foodie options and a tipple of your choice! Another reason to love CoffeeLab, they’re all dog-friendly, so bring your pooch along! Winchester is unlike any of the other local cities. It doesn’t boast about being a hub of the usual high street brands lining the roads of Winchester. Of course, there’s the local M & S and the expected few high street brands, but Winchester is full of local independent boutiques and treasure troves. The Consortium has to be one of our favourite places to shop in Winchester! If you’re looking for retro or industrial homewares, The Consortium Is the shop for you. They also stock the most beautiful accessories and necklaces - perfect gifts! If you’re on the hunt for something different to fashion, home and lifestyle - give your Amazon account a break and head on up to College Street to find P & G Wells! This little bookshop has occupied its space in Winchester for 300 years and looks more like something you would expect to see in the world of Harry Potter. I don’t know about you, but at this time of year, with rainy days and a cold chill in the air, I love treating myself to something sweet! Chococo is *the* place to go for something sweet! With a vast range of flavours, and vegan and gluten-free chocolate options, there’s something here for everyone! Chococo is a must when you’re visiting Winchester. If you’re after something a little more substantial, just a stone's throw away from The Consortium is a local favourite for brunch is Josie’s. Serving up the most decadent pancakes you’ve ever seen, along with the usual brunch favourites, it’s clear to see why Josie’s is a local favourite! Just a 15-minute drive away from Winchester, lies Lainston House, a luxurious country house hotel. An impressive location, with beautiful surroundings, this is the place to be if you’re after a pampering stay. Lainston House is also dog-friendly, which is ALWAYS a winner! If you’re looking to stay in the heart of Winchester, why not stay in one of our favourite locations. Yes, it’s the Winchester Hotel and Spa, the location of our annual event! Spend the evening being inspired by our amazing panel and keynote speakers, and spend the morning relaxing in the spa - could your last week of work before Christmas get any better? This past year has flown by so quickly, Christmas is basically tomorrow! Winchester is a magical place at Christmas time. The streets are lined with lights, the tree on the high street is glowing, there’s a chill in the air, and the famous Winchester Christmas Market is open. Head on down to the cathedral grounds to explore the pretty wooden chalets, sip some festive mulled wine, and find some last minute gifts - all of which surround the ice rink! Winchester is also home to our annual business and lifestyle blend event - this year, we’re hosting Business With Purpose, With Cone Accounting. If you’re looking to start, create, maintain, and grow a business with purpose, *this* is the event for you! Won’t you come and discover Winchester with us? Get your early bird ticket to our event now!